Because we come to you quickly, there is never a need to tow your car or take your vehicles ignition somewhere to be exchanged or serviced.  The professional auto locksmith team at Direct Locksmiths will handle your ignition cylinder replacement with ease and care. We have all the tools that would be needed to handle any issue you have with your vehicle ignition. Our techs have years of experience that is needed to easily diagnose and deal with all situations. We also offer you emergency after hours services if required. There’s only one company that can handle your ignition cylinder replacement with ease and care; Direct Locksmiths. We have all the tools that would be needed to handle any issue you have with your ignition. Our techs have the years of experience that’s needed to easily diagnose and deal with surprises. If an issue truly gets out of hand, we’re always prepared to offer you emergency services. Our tech will come to you, and then give their best diagnosis of your problem. Then you’ll be given the amount of time it will roughly take to fix your issue, along with the cost of the service. And don’t worry; instead of tacking on extra fees at the end of the job, we’re honest with our customers. What we say is the price, will be your final price. That includes the replacement parts. We will not start the job, until all of the necessary replacement parts have arrived. The way we start the replacement process, is to first disconnect the negative side of the car battery. This avoids electrical shock and also prevents the car from accidentally starting while the key and locking mechanisms are being handled. Then the plastic covers will be removed from the steering section. The steering section will have various parts, and will need to be removed using tools. The screws and other fastenings will be fairly easy to remove using basic tools. The latches on the otherhand will have to be handled with a lot of care and experience. The latches will have to be shaken so that they’ll loosen enough to be removed. The shaking and handling can easily damage the latches, and it can be very difficult to tell if they’re breaking or simply detaching. Only an experienced professional will be able to remove these with the proper amount of attention and carefulness. Other parts may also have to be removed to access the screws or other fastenings that are on the ignition cylinder. Unless you know exactly what needs to be taken off or removed, this part of the job can take a fair amount of time. The order of how the parts are taken off can also be very crucial. This is why at Untied Locksmiths, all of our techs have had extensive training or years of experience in the locksmithing field. Successful locksmithing requires knowing how to handle and deal with so many parts, and not just simply putting new parts in. Once the steering column covers have been taken off, we can move on to dealing with the actual ignition cylinder piece. We would start by looking for more screws or bolts that need to be taken out. We may use a standard tool or special drill head. Then we’d move on to depressing the pushpins. The tricky part about these pushpins is that they can be in different areas of the cylinder, pretending on the type of car you have. These are found by by looking for their specific holes. The holes will be just large enough to a small probe tool. Another thing that makes these tricky to work with, is that there may be two pushpins in the same hole. So when one pushpin is depressed, that may actually activate the other pushpin and things will need to be readjusted. 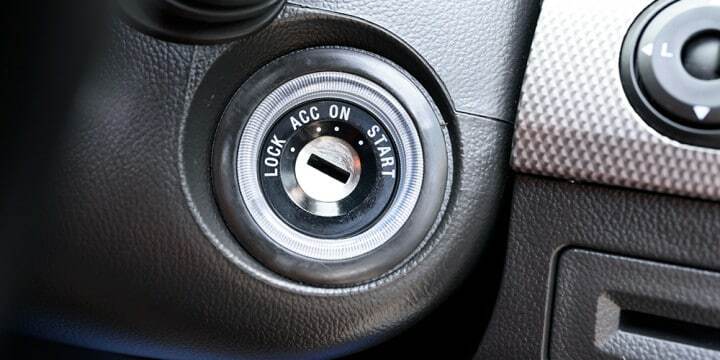 If the cylinder can handle it, then the key will be put into the ignition and turned to a specific direction, to help make things easier to work with. The key will usually be put in the ‘ON’ position. However, that may also not be possible if the cylinder is too damaged. This step may take a fair amount of time to finish. Once the key has been successful turned to the right position, the ignition cylinder can finally be removed from your vehicle. Our techs will doublecheck and triplecheck that all bolts, screws, and latches have been removed of course. Once it’s been confirmed that everything has been dismantled successfully, you’ll be given your options. One is that your lock can be decoded, so that your new ignition cylinder will still work with your old keys. That way you won’t have to buy a new key, and he same key can still open your doors and start your car. Your new ignition cylinder may not be effortless to replace, because there may be a few other steps that need to be taken. the re may be extra triggers that need to be depressed, in order to be able to install the new ignition cylinder. Your key will need to be turned to the same position it was in while the old one was being removed, so that the tech can check to make sure the new cylinder is installed the exact way your car needs it to be. Then right before it’s time to put the steering section back in, the car battery is checked. Once everything has been fitted and tested, it’s time for you to drive your car again! How Will I Know My Ignition Cylinder Needs To Be Replaced? The Lock Position – This is the standard OFF position that your car has, for when you just insert the key into the ignition without turning it. This is the only position your car has, when the key can be removed. As long as you’ve turned the key, it should not be able to come out as a safety feature. So if your key has been falling out or loose in a turned on position, then please see a locksmith. The ACC Position: This is the position for when you half turn your key, and the car cuts on but won’t drive. It’s the position you use to leave the radio playing, but not to drive. This is the accessory position, and you should be able to use a few more functions of your car in the position, besides the radio. The windows or air conditioning should be able to work in this position too, for example. This is also a position that your key should be locked into. The ON Position: This is the position you have when your key has been fully turned to crank the engine, and then turned back to a normal position. This key position should make it so that all functions of your car will work, and you should be able to drive. It should not be possible for the key to be removed from this position. The Start Position: This key position is used to start the engine, by fully turning the key and then releasing it, so it settles back to a normal position in ON. It should not be possible to remove the key from this or the ON position. Also, the Start position should not be used for a long time, only as brief a time as it takes to start the vehicle. Otherwise the starter in the car may be damaged by overusage. So now that you have an idea of how your key should work in your ignition, you’ll be able to diagnose for yourself if your ignition cylinder is damaged. Is the key being held in position like it’s supposed to be, or has it been slipping out? You’ll be able to notice if this is the case with your car. Actually insertion issues with your key can also be a sign the ignition cylinder needs to be dealt with or even replaced. Insertion or removal issues show that there’s something wrong with the locking wafers. These can be replaced, but commonly they’re broken because the ignition cylinder has degraded and it’s starting to fail. Cylinder issues can also show up as certain car functions not working anymore, the car not starting at all, and other things. These same issues can also indicate other problems of course, but the ignition cylinder is a common cause of these types of malfunctions. We at Untied Locksmiths will be more than happy to give you an assessment of your car. If your issues is related to your locks, then we will be able to assist you. We’re available 24hrs a day, so don’t hesitate to call us. Q. Why Doesn’t My Key Work In The Ignition Anymore? As the years go by, cars naturally start to break down. It’s just how it is, no matter how well you’ve taken care of your car. When your ignition cylinder wears out, this can make it impossible for you to start your car. This is due to the ignition cylinder or its locking wafers degrading. This means that your key will no longer be able to lift the wafers up, and so you can’t start your car. The ignition cylinder will need to be replaced; there’s no quick fix for this. You no longer have a key that will work, it literally will not fit the ignition properly anymore. Q. Can A Locksmith Help Solve This? Absolutely, a locksmith can help you replace the ignition cylinder. The ignition cylinder is truly just a simple lock. It’s similar to any other basic lock, and the locksmith you hire will definitely be able to help you remove the cylinder. However, please don’t assume that just because the cylinder is ultimately a lock, that means you can remove it yourself. Special tools and multiple steps must be used to remove the ignition cylinder safely. 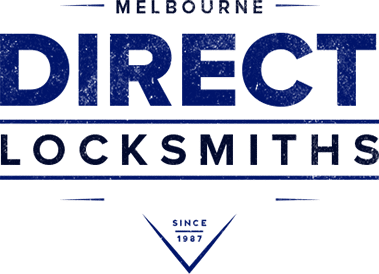 At Direct Locksmith, not only is your car’s integrity our highest priority, but the locksmiths we’ll send to you will be fully equipped to help you with your ignition cylinder. We are very experienced and ready to help you with your ignition cylinder replacement. Q. How Long Will It Take You To Replace The Ignition Cylinder? It generally will take one of our locksmith techs 20 minutes to do this kind of job. If you have a vintage type of car, then this process may take a little longer. Different cars have different factors and mechanisms that we’ll need to deal with. Or there may be other issues that crop up. In cases like these, since issues usually come from the parts just breaking down, other parts can also be broken too. However, no matter the make of the car or severity of your issues, Direct Locksmith should be able to help you. Since our techs are mobile, you will never have to have your car towed to us. We will come to you. When your car is danged like this, the last thing you want to be doing is driving it or lose access to it for days on end, waiting for it to be repaired. Q. What If I Just Want My Ignition Cylinder Repaired? This is possible to do in many cases. It’s just that when there’s damage to the ignition cylinder itself, replacing the wafer part of the locks won’t solve much. The worn down cylinder will just damage the brand new wafers, and you’ll have wasted your money and time. But for the most part, getting a full replacement of the ignition cylinder isn’t necessary. Your locksmith will diagnose the issue and decide what’s for the best. More than likely, you’ll do fine with only having the wafers replaced. Of course, many people also choose to have the entire thing replaced because they don’t want to take the risk of future issues. You can discuss with the tech we send out as much as you want, for what the best choice will be for your particular case. Even though it would be more profitable for us, we want to be honest with you that in most cases, this option is not needed. Q. What Are The Signs My Ignition Cylinder Needs To Be Fixed? If you have any issues with your keys working, feel free to call our locksmiths. We will help you to diagnose what exactly is wrong with your car. Our tech will explain to you what signs and symptoms they’re looking for, and how they came to their diagnosis. We can also order parts for you, if you’re looking to repair instead of fully replace your ignition cylinder. If we need to order parts, there may need to be an additional appointment made, so that we can discuss more details about your car and what you want fixed. Q. 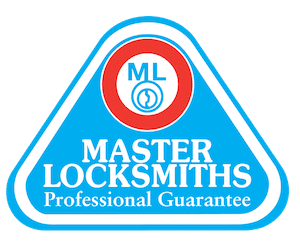 Are Your Locksmiths Available Whenever I Need Them? Yes! 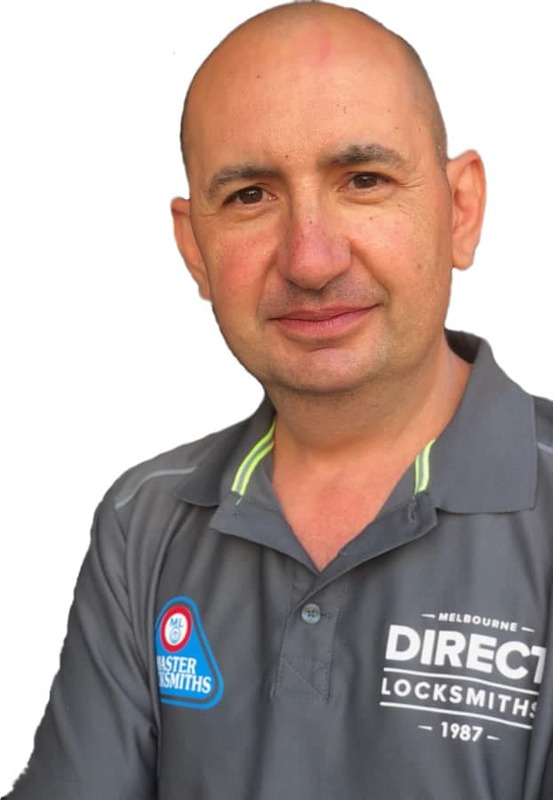 At Direct Locksmiths, we offer both 24hr and emergency services. We always give an ETA of 30 – 45 minutes for our emergency cases, and are very rarely late. You can also schedule exact time appointments with us too, if that’s a better fit for you. Our scheduling options are also on the 24/7 schedule, so feel free to schedule with us at any time that you like. Q. Should I Use A Locksmith For My Ignition Cylinder? There are a few ways you could approach for this issue. Hiring a locksmith is by far the best option. You won’t have to deal with someone giving you a useless part, without any idea on how to solve the problem. The experience a locksmith has is also really valuable for a job like this. Not only will you get a full diagnosis of the issue, but you’ll also get a solid explanation for what’s wrong and the best solutions for your problem. And since Direct Locksmiths also uses mobile to come to your home or whatever location you;re in, there’s zero inconvenience for you. You already have an issue with your car not being able to start, why add even more stress when you don’t need to?